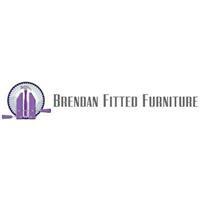 Brendan Fitted Furniture - Bedrooms, Carpenter based in Bournemouth, Dorset. I have over twenty years experience in creating furniture designed to meet your exact requirements. I specialise in home offices, kitchens, wardrobes, under-stairs units, bookcases, shelves, alcove units, loft storage and TV & media units. I also make standalone furniture, such as tables, sideboards, beds and bookcases. I provide a high quality product and service at a very competitive price, offering you much better value for money than the big national brands. I will visit you at home to discuss you what you are looking for, explore options, and then send you a free design and estimate. I make the furniture in my own workshop, then install it quickly and efficiently in your home. My customers tell me I am creative, adaptable, careful, respectful and efficient.